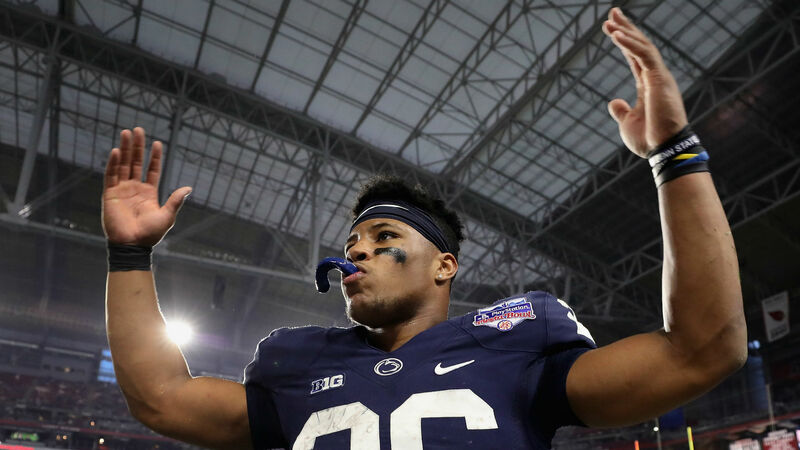 Saquon Barkley’s first day of training camp should be a memorable one. The Giants announced Sunday they have signed the rookie running back to a four-year contract. NFL Insider Ian Rapoport reported the deal is worth a fully guaranteed $31.2 million, including a $20.76 million signing bonus, and noted Barkley will receive $15 million of the bonus immediately before getting the rest in October. Barkley, 21, was selected by the Giants with the No. 2 overall pick in April’s draft. The Penn State product said last month he plans to be smart with his money and quickly put it to good use when he fulfilled his childhood dream of buying a house for his parents. All Giants rookies are scheduled to report Sunday before the team opens training camp this week.